The biggest family event of the year Baby & Family ExpoPhilippines 2013 presents Family Fashion Weekendfeaturing apparels from country’s finest brands – Cotton OnKids, Petit Bateau, Mothercare Philippines and F&XPhilippines, happening on Saturday December 07, at Hall 1, SMX Convention Center Manila, Mall of Asia Complex,Pasay City. This parent and child tandem fashion show will feature the weekly finalists of the #BibongBaby contest, an online photo and video contest of the Baby & Family Expo 2013. Thecollection will showcase holiday children’s wear in a tropical country. From blue to orange hues, the outfits will depict the expo’s lively theme. Cotton On Kids collection will bring the spirit, edginess and fashionability of its parent brand, Cotton On, world renowned Australian brand, Cotton On, which opened stores in the Philippines a year ago. Its range of children’s apparel and accessories offers the latest styles that allow even the littlest personalities to shine through. Another runaway collection will be all the way from France.Petit Bateau will stage fashionable yet comfortable casualwardrobe for kids. The French label began as an innovator in kid's underwear in 1893 and has been committed to bringing comfort, freedom of movement, and the softest fabrics to kids, and even to adults. Aside from baby essentials like feeding, bathing, travel equipment and toys, Mothercare Philippines has a collection of fabulous children’s clothing, which will be featured at the fashion show. For expectant mothers, they also have maternity clothing to make they stay fashionable. 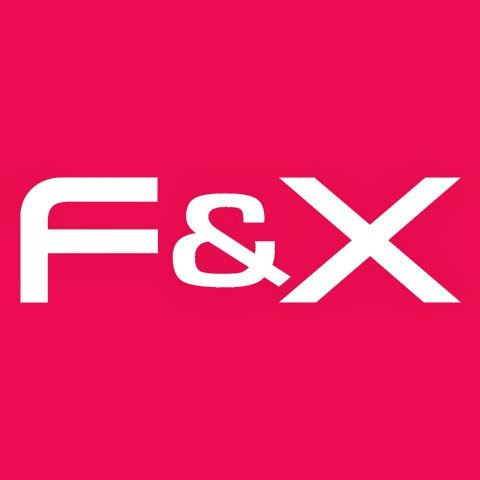 F&X Philippines will offer not just stylish children’s wear but also comfortable and versatile outfits. The collection emanates coolness and fun, giving the kids confidence andbringing out one’s individuality. The Family Fashion Weekend is part of the three-day fun-filled event from December 06-08, 2013 organized by MediaCom Solutions Inc. and co-presented by Cordlife Philippines, the leading cord blood and tissue banking service provider in the country. The Baby & Family Expo Philippines dubbed as “Welcoming Life, Love and Care”, is dedicated to nurture family development and child care. It covers the stages of family growth from pregnancy, maternity, newborns, toddlers and early childhood. The event will also feature educational talks and seminars, exciting activities like Family Olympics and Family Fashion Weekend and exclusive discounts from over 200 exhibitors. The family expo will also feature inspirational talks by celebrity parents like Azkals coach Michael Weiss as he talks about ‘Coaching the Azkals and Coaching Your Kids’, host, author and Mercato founder RJ Ledesma will also share tips on Daddy 101. On The Money host and The Master’s Academy president, Edric Mendoza will also talk about Homeschooling while dancing diva Regine Tolentinoand Bb. Pilipinas- Universe title holder and actress Nina Ricci Alagao-Flores will share their memorable experiences in Parenting 101. MTRCB Chairman Atty. Eugenio Villareal and actress, host and co-producer of MOMents and MTRCB Board Member Gladys Reyes- Sommereux will tackle about ‘Child Friendly Content and Parental Guidance on Responsible Media Consumption.’ Moonstar88 vocalist,Acel van Ommen and Starstruck avenger Jade Lopez will also give a talk on Right Start’s advocacy. 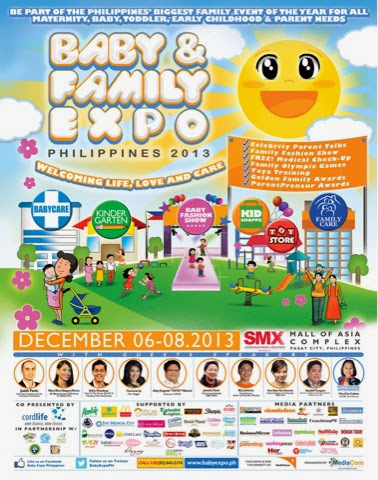 Be part of this stylish and star-studded family event by registering for free at the Baby & Family Expo Philippines 2013 website www.babyexpo.ph. For queries and updates, call +632.843.2174, email info@babyexpo.ph and join the community at www.facebook.com/babyexpoph and www.twitter.com/BabyExpoPH.